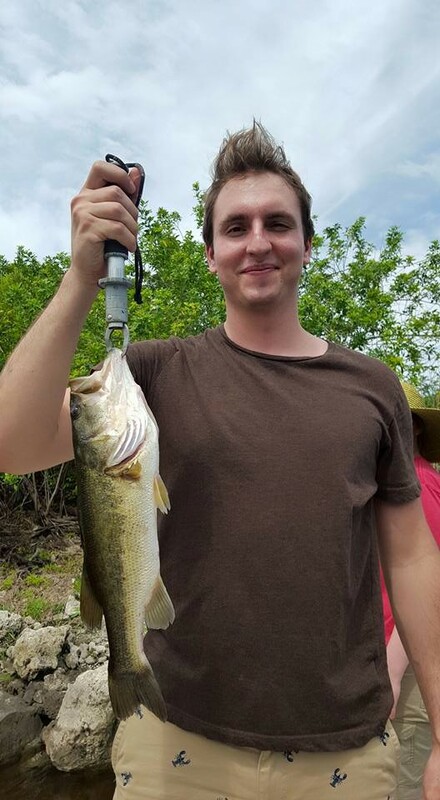 I was honored to take our first customer who traveled all the way from New Jersey, who booked through our new website out to fish the Everglades today. We headed out and got into a bunch of fish. 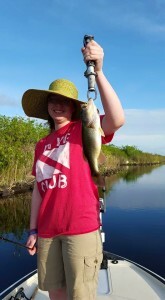 One of my clients had never been fishing before and we had the privilege of helping her land her very first bass! We had some rain & clouds first thing this morning. I had planned on fishing in a different spot but we decided to go to the farthest ramp to the north end of the Everglades. We got out of the rain and had a great time. 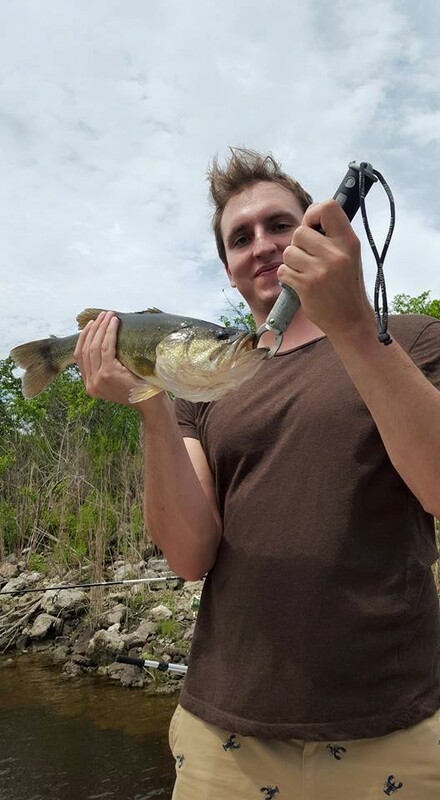 In all, we managed to land over 30 bass. Our clients had a little competition among themselves. They wanted to see who could catch the most fish. I put the ladies up on the front of the boat and helped them cast their baits. The gentleman had a little more experience and I set him up on the back of the boat so he could do his thing. I rigged them out with a Livingston Lures “Dive Master Jr.” and the bass just went crazy. 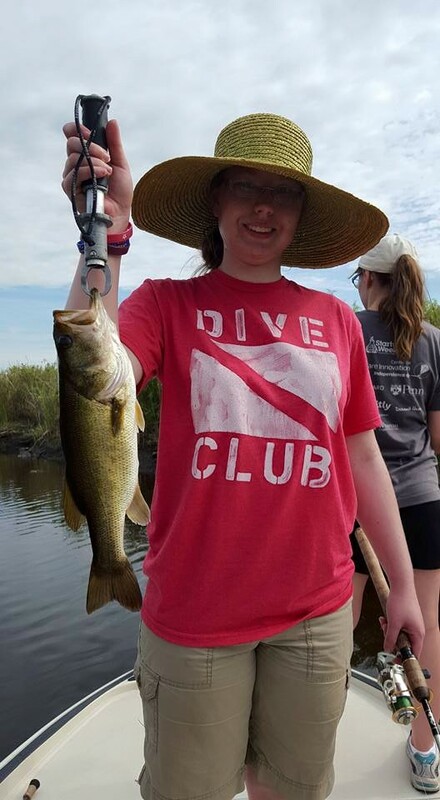 For folks who don’t get out on the fish all that often, we sure had a good time on the water today. Our client Chris ended up winning their little competition. He landed the big fish of the day and managed to whack a nice 4 1/2lb bass. Olivia wasn’t missing out either, having the least experience she out fished everyone and enjoyed every second.